We’re back with yet more apple ideas. In past years we’ve given you Dabbled with Apples in which we stupidly went apple picking despite the plethora of apples coming our way via our CSA (going picking is just so irresistible in October), and Appletopia in which we provided three things to do with your apple bounty, and made an insensitive Steve Jobs joke. I found this recipe on the blog addapinch.com and they were really straightforward to make and a serious crowd pleaser. They were gone before I could even blink. Preheat oven to 375º F. Add muffin liners to your muffin tins. Sift together flour, baking powder, salt, and cinnamon in a medium bowl. Set aside. 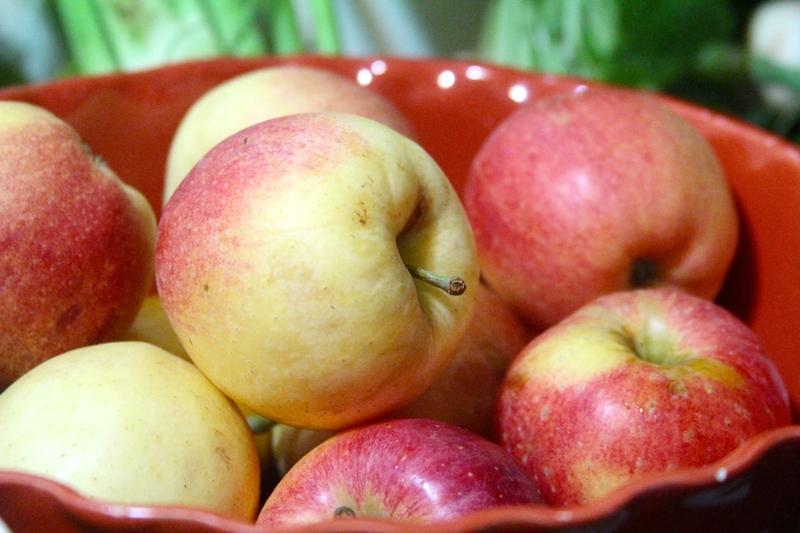 Toss together diced apples, squeeze of lemon, and 2 teaspoons of flour to coat apples in a separate bowl. Set aside. 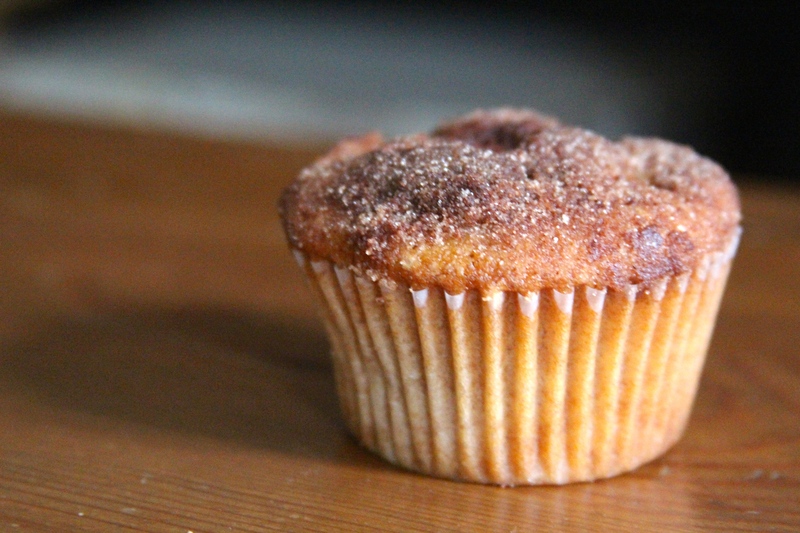 I wish I had more pictures to share – but this is the last lonely muffin. yum! gonna try it this weekend. do it! the babes will love them. October is not complete without a solid cider donut! And with that in mind… I’m going to go find a farmer’s market.